Though you might mistake Snow Leopard for plain old Leopard when you first boot it up, there's a lot of subtle stuff happening on screen and under the hood. Here's our guide to everything new in the latest Mac OS. So much of what's going on with Snow Leopard is almost invisible—especially until developers can take advantage of it—so what does all that really add up to? Sure the box price is $29—if you meet the right conditions, like running Leopard on an Intel-powered Mac. But what if you don't? Find out what it'll really cost you. While Snow Leopard isn't pack the Leopard-like explosion of 300 new features, there's actually a decent bit of new stuff going on: QuickTime X is a whole new QuickTime, there's built-in text substitution, and the wireless networking interface is actually useful now. Also check out the Buncha New Stuff, Express Edition, a condensed version of what's new and noteworthy with 15 tricks you can actually see and play with. One of the most key under-the-hood technologies in Snow Leopard, Grand Central Dispatch is Apple's solution to the tricky problem of coding apps to take full advantage of the mostly untapped power of the multicore processors inside today's computers. The other major leap toward harnessing all of the power a modern computer truly offers is Snow Leopard's inclusion of OpenCL 1.0, a framework that lets programmers easily use the tons of cores inside your graphics card for a whole lot more than gaming. Is there something missing, a discussion you were hoping to have but aren't seeing here? We want to be thorough, so let's have it. 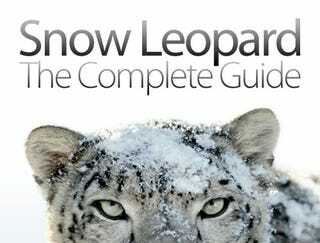 Go ahead and hit us up, either in direct emails or to our tips line, with the subject "Snow Leopard Guide."